LOS ANGELES -- The months-long journey to become the next "American Idol" ended Monday night. The two-hour music-filled finale highlighted the judges' talents as we heard Lionel Richie, Luke Bryan and Katy Perry sing. There were special guests, clip reels of special moments from throughout the season (and a great impression of Lionel Richie by Caleb Lee Hutchinson), as the show slowly built to the big reveal. It was an hour and 15 minutes into the show when we saw our first real decision of the evening. 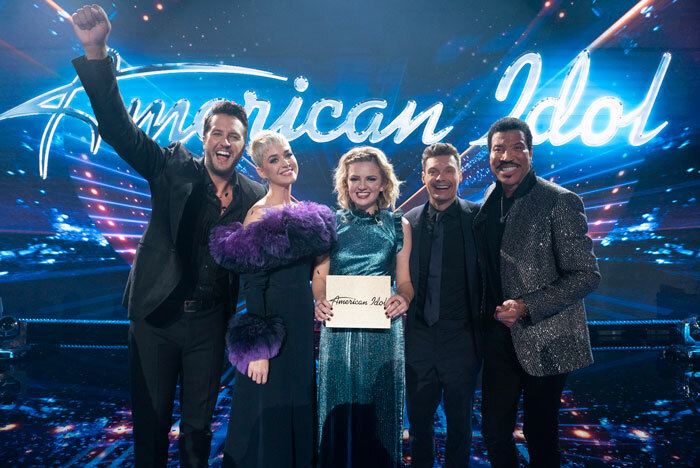 The final three became the top two when Gabby Barrett was eliminated, leaving Caleb Lee Hutchinson and Maddie Poppe to vie for the coveted title of the next "American Idol." Things start winding down about an hour and 45 minutes into the show, with host Ryan Seacrest, Caleb and Maddie on stage. Ryan let the cat out of the bag... no, not who won "Idol." He said Caleb and Maddie are a couple! Then the two sang an adorable duet. They were also awarded with a trip to Disney's Aulani resort in Oahu. Can they both win the title? But in the end only one of them won big. Ryan reveals this year's "American Idol" is...Maddie Poppe!